The West Central Minnesota Area Transportation Partnership is seeking applications for the 2013 Transportation Enhancement Program, which has approximately $600,000 available for eligible projects in Mahnomen, Clay, Becker, Wilkin, Otter Tail, Grant, Douglas, Stevens, Traverse, Pope, Big Stone and Swift counties. Projects require a 20 percent cash match. 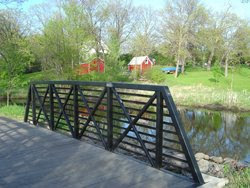 Information on the Transportation Enhancements Funds, including a guidebook and fact sheets on the 12 eligible activities, can be found at: http://www.enhancements.org/.